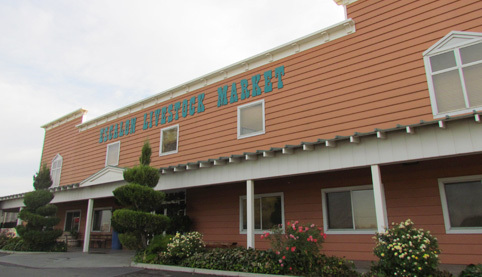 Welcome to Escalon Livestock Market! 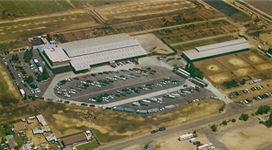 ELM is dedicated to serving the large and small livestock producer. Our auction sales are held three times a week on Monday, Wednesday & Friday. 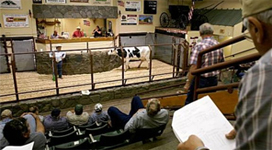 For over 30 years Escalon Livestock Market has provided consistent and competitively priced marketing of your livestock. Butcher Cattle, Feeder Cattle, Drop Calves, Holstein Fresh Cows, Slaughter Cattle, Feeder Cattle, Breeding Bulls ... plus, Pigs, Goats, Sheep, and miscellaneous farm and ranch supplies. 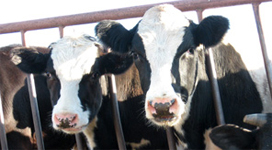 Stop in or give us a call at (209) 838-7011 and see what we can do for your livestock operation.